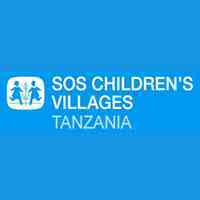 SOS Children’s Villages Tanzania is a local non-government organization affiliated to SOS Children’s Villages International, a worldwide child care organization that provides orphaned and destitute children with a permanent home and educational opportunities. Established 60 years ago, SOS Children’s Villages International the umbrella organization, currently has Children’s Villages and other projects in 135 countries around the world. Globally, it runs the SOS Children’s Village Programme which has two main arms, i.e. Family Based Care based at SOS Children’s Villages and Family Strengthening Programmes supporting families in local communities. SOS has been working in the United Republic of Tanzania since 1991, and implements its programs in the following locations Zanzibar, Arusha, Dar es Salaam, Mwanza and Iringa, SOS Children’s Villages Tanzania seeks to recruit suitably qualified candidates to fill the following vacant Positions. Programme Director-leads the development of SOS Children’s Villages key programmatic themes in Tanzania, namely family based care, family strengthening programmes, advocacy, other alternative care options and education. Ensure the Monitoring & evaluation of SOS Children’s Villages Tanzania programmes is well achieved to inform the progress and growth of the program. Supporting and Guiding Family Based Care Coordinators and Youth Care co-workers in maintaining linkages with youth who have left SOS Villages for independent lives for better results and outcomes. and National, child rights focused organizations and networks in order to support and strengthen SOS Tanzania childcare work. Take lead on all initiatives of expansion of the programs in SOS Children Villages Tanzania by supporting the fundraising activities and Proposal developments across programs. Bachelor degree and/or postgraduate qualification in relevant field i.e. Community Development Project Management, Child & Youth development, social sciences, Development studies, etc. Proven leadership and people management skills, with experience of managing multi-donor’s projects. Candidate with good presentation skills to different stakeholder which includes Board, Senior management, Donors e.t.c. Matured candidate with good analytical skills. The ideal candidate should be a socially stable and mature person. Please Note: SOS Children’s Villages Tanzania is an equal opportunity employer and committed to keeping children safe from abuse and harm, therefore candidates applying for this post will be subject to child safeguarding recruitment procedures and checks.